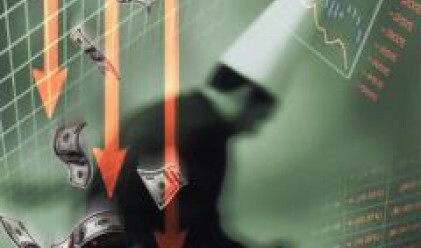 The indexes of the Bulgarian Stock Exchange (BSE) ended the first work day of the week with losses. The broader BG40 index closed 2.7% down at 309.78 points marking the biggest loss on the day. The SOFIX blue-chip index ended the day 0.58% lower at 1,131.82 points. A total of 85,00 shares in Chimimport traded hands on the day. The stock appreciated by 4.4% to an average of 8.76 leva per share. Orgachim was the biggest decliner among the blue-chips on Wednesday. A total of 842 shares in the company changed hands today, while the stock depreciated by 14.14% to an average of 312.83 leva per share. Sopharma was also among BSE's poor performers on Wednesday. The stock of the company shed 5% of its value to 5.88 leva per share. The trading volume on the position stood at 5,500 shares. A total of 39,000 shares in Industrial Holding Bulgaria were traded on the day, while the stock depreciated by 4.3% to an average of 7.38 leva per share. Infrastructure companies, such as Holding Roads (-3.28) and Trace Group Hold (-4.9%), were also among BSE's decliners on Wednesday. BSE's indexes closed lower on today, unlike the upward movement of the global indexes yesterday.